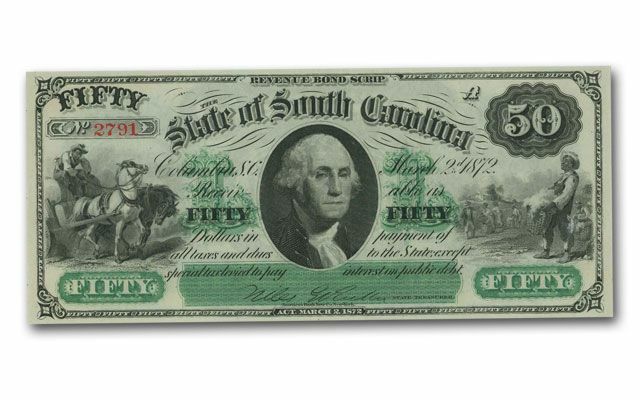 In 1872, the state of South Carolina needed $1,000,000 to finance the reconstruction of the Blue Ridge Railroad. It seemed like a no-lose deal. Railroads were in their heyday, and the state guaranteed repayment. Famed industrialist Edward P. Wesley coughed up the dough and received $1,000,000 in notes designed like intricately engraved currency. 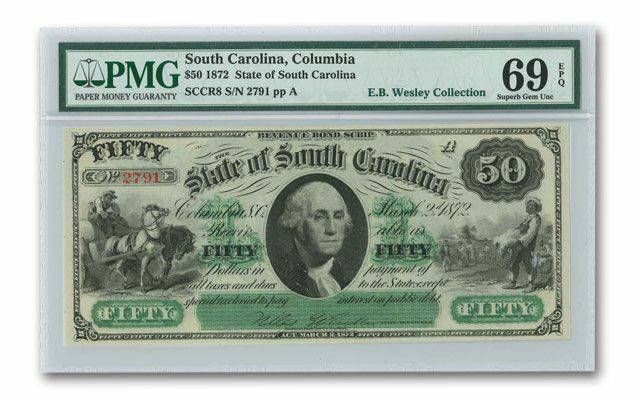 But, in 1873, South Carolina reneged, leaving Wesley with the unredeemable notes. Wesley fought the state in the courts but lost. He was left with nothing but the notes. 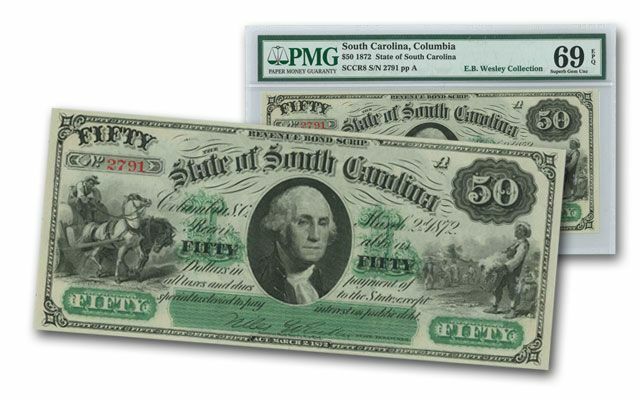 Recently, a portion of the original Wesley South Carolina Railroad Notes resurfaced mysteriously out of the holdings of Wesley's heirs. When they were offered to us, we snapped them up, and they're now available for you to add to your collection. These notes are miniature works of art in their own right and are profound and important historic remnants of the Gilded Age. 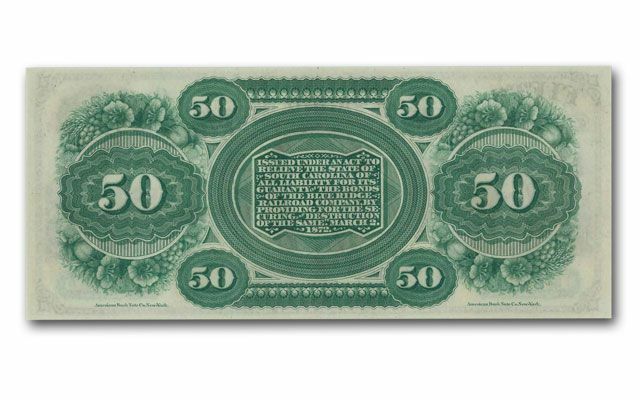 Now, you can own this $50 note in superior condition. Each is graded 69 Exceptional Paper Quality (69EPQ) by Paper Money Guaranty (PMG). It's a stunning example of a long lost historic treasure. Add one to your collection today!